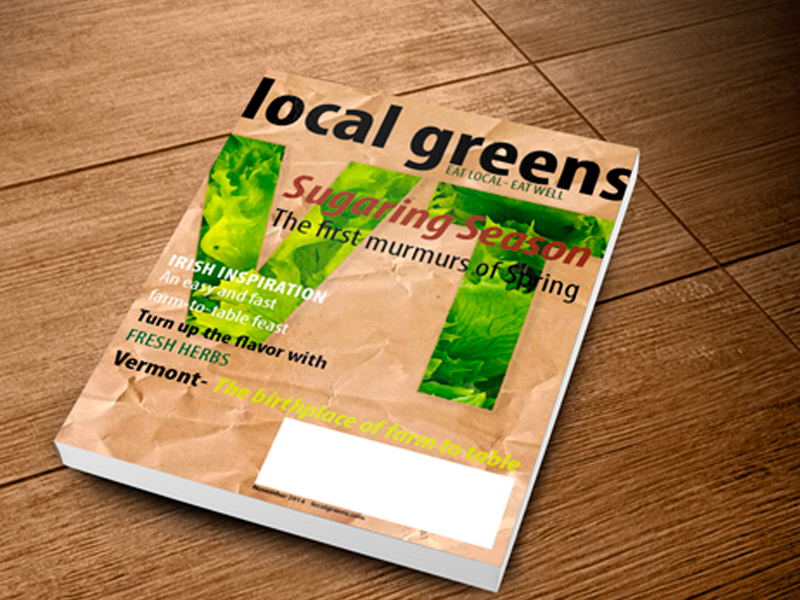 The purpose of this project was to create a magazine cover, table of contents and spread for local greens, a fictional farm-to-table magazine. 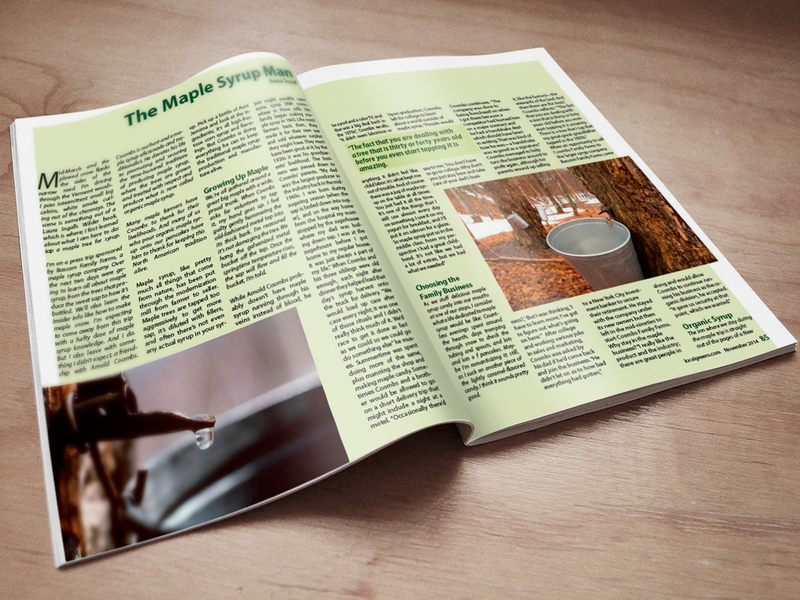 This issue focused on Vermont and featured an article on a family maple syrup business. 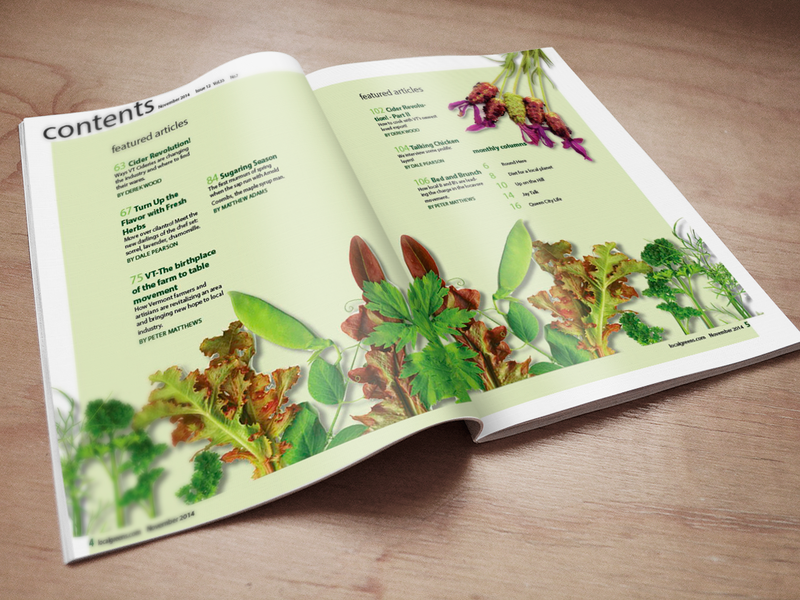 Assets were created in Illustrator and Photoshop. 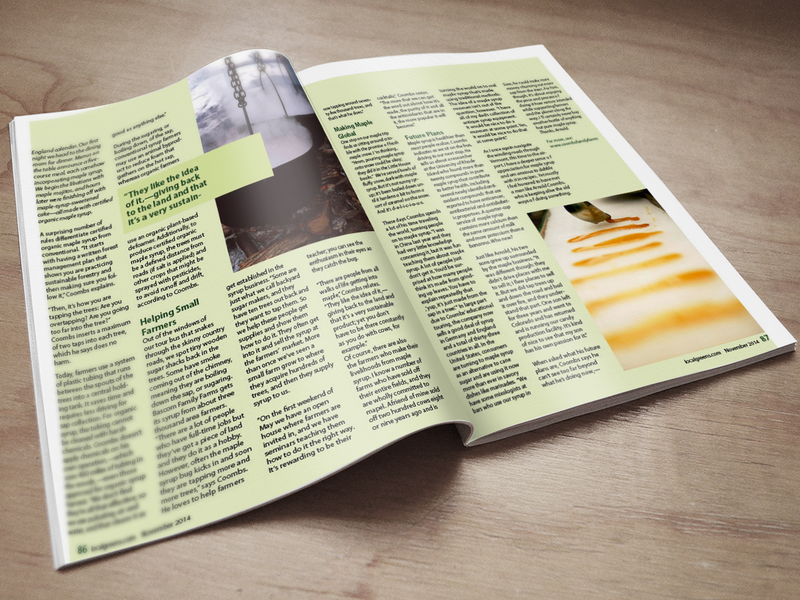 Text set in InDesign for the Art Institute of Pittsburgh.